Smack/URL drops another competitive match up from their recent NOME 3 event. 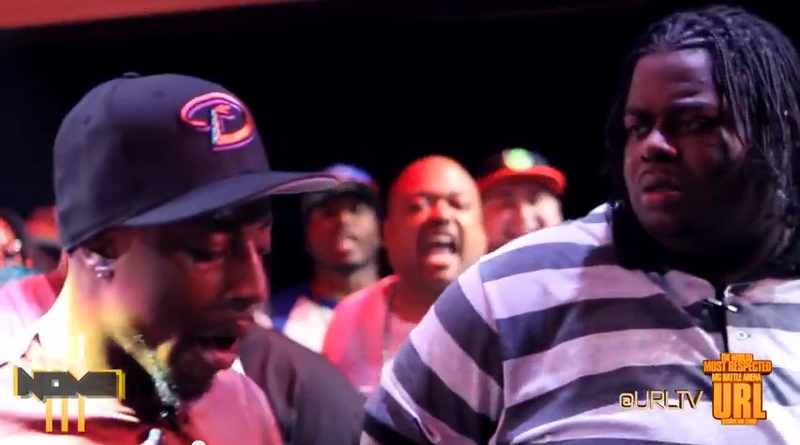 This battle is between Chicago’s Big T & Harlem New York’s K-Shine. This entry was posted in Big T, K-Shine, Smack/URL and tagged Battle Rap Lyrics, Big T, k-shine, NOME 3, NOME III, Rap Battle Lyrics, Smack, URLTV. Bookmark the permalink.